• Not all digital assets are securities. The sale of digital assets to raise financing is a securities offering, while digital assets sold for use in a functioning or decentralized blockchain network are not investment contracts that are within the definition of securities. • Notwithstanding SEC enforcement actions related to digital asset securities, regulatory uncertainty remains as to the treatment of digital assets. Regulatory clarity will need to come from either SEC guidance or legislative action. • Digital asset trading platforms present novel regulatory considerations for secondary trading and custody. Framing her speech on the interplay between innovation and regulation, Commissioner Peirce quoted former Federal Reserve Chairman Paul Volcker to the effect that the mechanical innovation of the automated teller machine (ATM) was more impactful on the economy than the financial innovations of the last 20 years. Commissioner Peirce went on to say, “Technological progress in the financial industry offers the same mix of hope, promise and risk that technological progress in other parts of our society offers.” For instance, she pointed out, one of the essential innovations of blockchain technology, the way in which decentralized networks are incentivized to achieve consensus (without reliance on a sponsor, issuer or trusted intermediary), is one of the things that makes applying existing regulations a challenge. Chairman Peirce’s speech builds on a previous speech delivered last year by the SEC’s Director of the Division of Corporation Finance, William Hinman. The central idea of Director Hinman’s speech was that it is the nature of the transaction that determines whether an offering of securities has occurred, not the item being sold . Therefore, depending on how the particular facts and circumstances are applied to the longstanding test established by the Supreme Court in the Howey case, the offer and sale of digital assets may or may not be a securities offering triggering the federal securities laws . Director Hinman provided a non-exclusive list of factors to consider in determining whether the sale of digital assets is a securities offering. In applying those factors, he noted that the Bitcoin and Ethereum networks are sufficiently decentralized and therefore current offers and sales of bitcoin and Ether are not securities transactions. However, the lack of a “bright-line” test around the concepts of decentralization and functionality has left industry participants seeking further clarity from the Commission. To that end, Commissioner Peirce noted that SEC staff are working on “supplemental guidance to help people think through whether their crypto-fundraising efforts fall under the securities laws.” In addition, Commissioner Peirce reiterated the SEC’s “standing offer” for industry participants to seek no-action relief in connection with a particular token or project. However, to date, no such relief has been provided. Regulatory Certainty: SEC Guidance or Legislative Action? First, regulatory Securities Act questions were raised as to when a digital asset meets the definition of a security (including when a blockchain network is sufficiently decentralized and functional as to no longer benefit from the disclosure regime of the securities laws). More recently, Exchange Act issues are being considered with respect to custody of digital assets and digital asset-related exchange-traded products. Answers will need to come in the form of SEC guidance or legislative action. Blockchain projects and use-cases that raise particularly thought-provoking regulatory issues currently have several limited avenues for relief: They may qualify for an existing exemption or safe harbor or request relief in the form of an SEC no-action letter. To that end, Commissioner Peirce also noted that regulators around the world, including the SEC, have been considering how existing rules apply in this space and whether a new regulatory framework would work better. Any “new” regulatory framework would need to be prompted by legislative action. Certain U.S. states have already taken action with respect to digital assets. 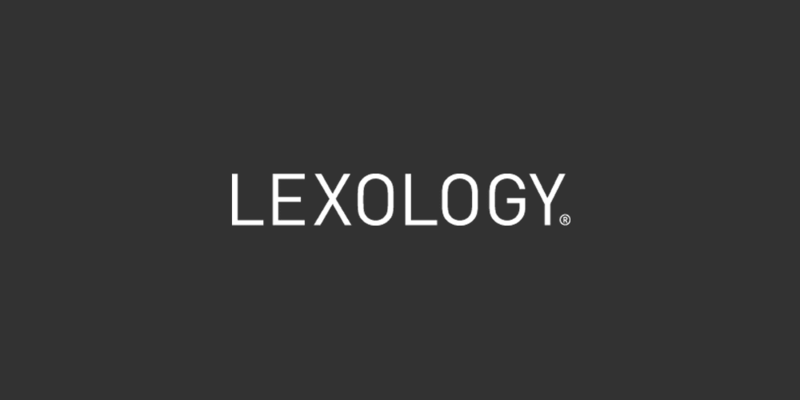 Federally, Reps. Warren Davidson, Republican of Ohio, and Darren Soto, Democrat of Florida, have introduced a bill intended to amend the securities laws to provide for a statutory exemption from the definition of securities limited to certain decentralized blockchain tokens defined as “digital tokens.” The bill, called the Token Taxonomy Act, also proposes certain tax exemptions for virtual currency transactions. It remains to be seen whether the market will see a new regulatory framework from Congress, formal SEC guidance or a combination. Digital asset trading venues have been the focus of investor warnings but have received less focus in terms of regulatory guidance beyond the need for appropriate registration. Commissioner Peirce rightly points out that “closely linked to the question of whether tokens are securities is the question of how the platforms on which tokens trade should be regulated.” There are digital asset trading platforms that are seeking to register with the SEC. However, the SEC has provided little guidance to broker-dealers, national securities exchanges and alternative trading systems designed to support digital asset trading on how the requirements of the Exchange Act and regulations thereunder would apply to secondary trading of digital asset securities. Indeed, as Commissioner Peirce notes, “there are features of crypto trading platforms that may differ from exchanges or alternative trading systems designed for traditional securities.” To identify how the SEC’s approach may need to change to accommodate the differences between traditional exchanges and alternative trading systems and digital asset trading platforms, Commissioner Peirce stated that the SEC “will need to improve our understanding of how the platforms operate.” For example, blockchain technology raises novel issues related to the SEC’s custody rules for broker-dealers and investment advisers as well as with regard to clearing agency registration requirements. Whereas many traditional securities clear and settle through a central clearing corporation or depository, digital asset trading platforms facilitate trades that clear and settle directly on the blockchain. Blockchain technology and digital assets bring to focus many novel regulatory considerations for the SEC, Congress and market participants to consider in adopting the use of the innovative technologies. As Commissioner Peirce’s speech suggests, blockchain may offer many benefits but also raises new regulatory challenges that will need to be resolved over time to fully realize those benefits.